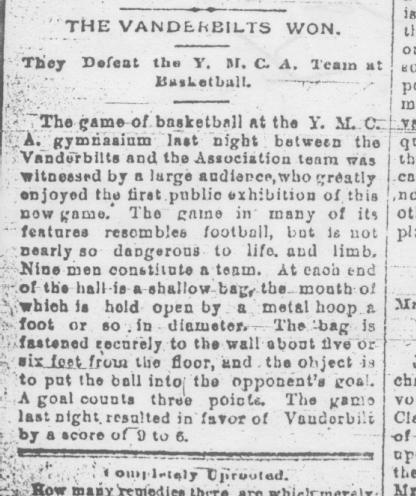 On a cold winter’s eve in the month of February, the Vanderbilts defeated young men from University of Georgia at Basket Ball. In fact, they tallied a sensational 81 points, with over eight thousand students and supporters in attendance. Six score and five years ago, a novel game (denominated “Basket Ball”) first reached collegiate standing. Here in Nashville, scholars of the Vanderbilt University vied the Young Men’s Christian Association, known to man as the Y.M.C.A. Fellow scholars in attendance applauded the Vanderbilts, who prevailed victors by a Herculean tally of nine scores in the circular goal (referred to as a “basket”, thus the name “Basket Ball”) to a mere six. The game has seen great developments since that day; today, the Vanderbilts matched that score nine times over. The very students in congregation in that 1893 match-up had such a remarkably zealous rejoinder that in the year of two thousand and eighteen, the Vanderbilts still compete in the game of Basket Ball with other institutions. On the present day, the Vanderbilts dueled the University of Georgia to reveal who can gather the largest tally of putting the ball in the opposing basket. This time, in their very own arena, known as the Memorial Gymnasium. The laws and regulations of Basket Ball have since been revised, the positions have changed, and much to my astonishment, goaltending is no longer a position, but a penalty. I sincerely apologize if I make a hash of the position titles. I am still a scholar of the game. Midway through the performance, a period presently referred to as “Halftime”, the Vanderbilts exhibited their technique in the craft of Basket Ball, leading the exhibition by a running total of 39-31. In its early stages, the game of Basket Ball drew a close resemblance to the sport of Foot Ball, with only some of the aggression left aside. In the present climate, they receive a free go at the hoop whenever football-esque conduct comes forth. These shots have been given the appropriate title of a “Free Throw”, yet they don’t actually throw it at the basket. 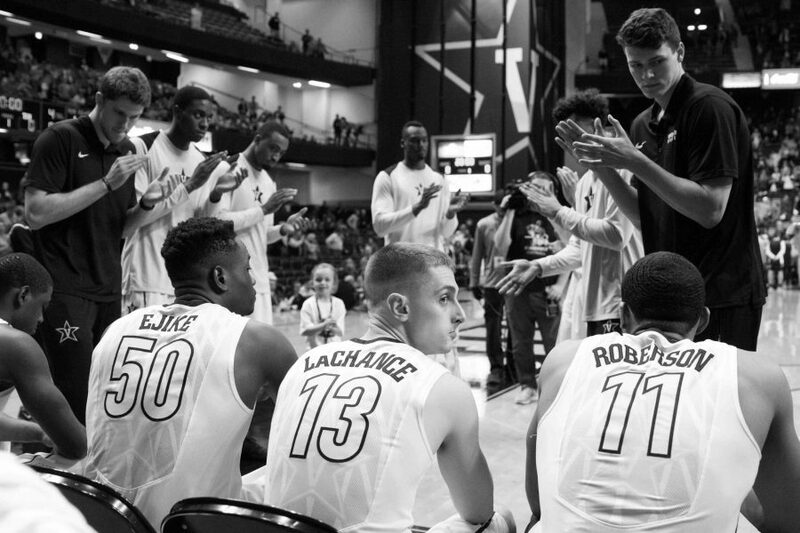 At Halftime, the Vanderbilts were awarded eight free throws, and the Georgias were granted seven. Despite the inconsequential margin between the two, the Vanderbilts made all of their eight throws, yet the Georgias only scored four. Perhaps the disparity in the number of throws that went inside the hoop was the true difference at halftime. As it turns out, the metal circle is now suspended at a breathtaking 3.048 metres in the air. 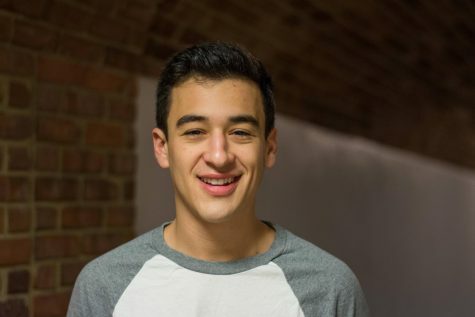 Even more magnificent were Saben Lee and Riley LaChance’s performances for the Vanderbilts; they each registered nineteen scores in the Georgia basket. The Vanderbilts centerman, Ejike Obinna, exhibited malevolent behavior in the contest. With more than seven minutes lasting until the final whistle, Obinna was miraculously expelled from the game! This stipulation, known as “fouling out”, is a consequence of making five fouls by yourself. Obinna was succeeded by Clevon Brown as the most vertically gifted man on the gymnasium floor, thus granting him more time to play and more opportunities to jam the ball within the confinements of the rim (known as a “dunk”, or if performed emphatically, a “slam dunk”). Overall, the Vanderbilts should reduce their foul play, as it resulted in nineteen team penalties throughout the game. The Georgias received nineteen free throws at the hoop as a result. This was the ninth win of this season for the Vanderbilts, and next they travel (by buggy, I assume) to the University of Arkansas in three nights.